I finally made it to Coscomatepec, one of the Pueblos Magicos of the state of Veracruz. I was very attracted by the name, which sounded promising of a fun colorful town, not sure why. I just wanted to find out. As a matter of fact, my internet search showed me a beautiful grean plaza with a colorful church and on the back the magnificent towering pico de Orizaba in all his white splendour watching over the city. Unfortunately I had to do a lot of immagination to see the same picture I had in my mind. In fact when I arrived it was nothing like I have imagined. Here I was with my camera ready to shoot stunning pictures to show off, but all I found was cold, mist and a thick fog, tearing apart all my romantic dreams. 🙂 It was freezing cold for my standard and I doubted that I was able to explore any waterfalls in the vicinity as I was told. Besides I was freaking out for a bad rash I had on my skin due to some allergy I had on whoknowswhat. I was not in the best mood but that didn’t stop me from enjoying the pictoresque city and what it has to offer. He also invited me to participate to the night event, which would take place around 6 pm on the main square. It was cold and my hitching was getting worse but I wanted to have a look and experience it. 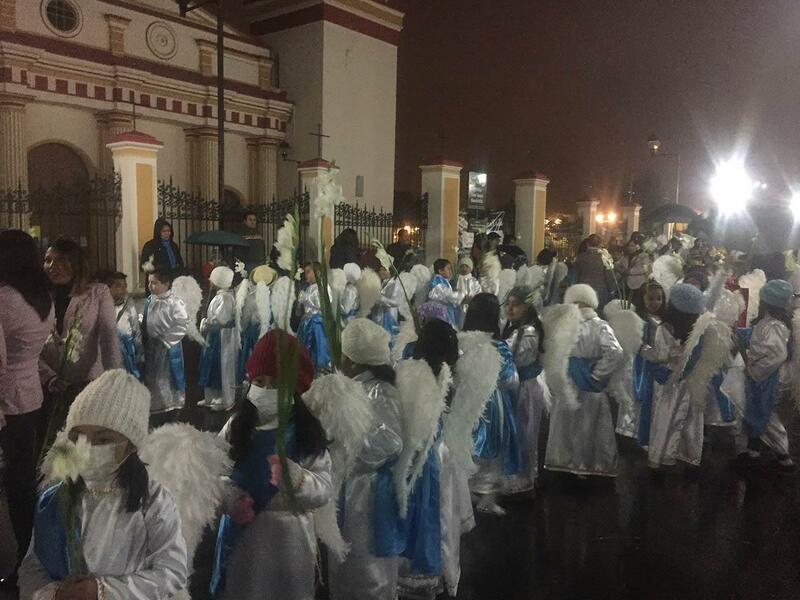 I have eventually learned that in Coscomatepec every night from December 1st to December 12th each bourough of the town would organize a procession with children of any ages dressed up like angels in honour of the Virgen of Guadalupe whose official day is December 12th. Everybody was out and the kids were overexcited to be the protagonist of this such heartfelt event. The shops were open and sold local specialities expecially the hot fruit punch with no alcohol, to keep everybody cold and sweet. Corn, whole or already prepared and panbazo, a very soft white bread sandwiched with all sort of stuff including mayonese and meat. It was fun to watch but I didn’t resist longer and off I was to bed very early. The following day after a yummy and heavy local breakfast I was all ready for my tour. I meet the young guide in the Plaza and off we go. Alberto, the guide, was on time and enthusiastic about showing me around. He was not a professional guide, but a student of the “prepa” (highschool), fulfilling his civil service duties. He was very knowledgeble and mature for his age and we had a great time, at least I enjoyed it. We took the local taxi and headed to the so famous waterfall Alpatlahua, which means Vuelo de Agua, fly of water or something like that 🙂 I prefer the spanish name :). We had a fun ride by a taxi colectivo for the ammount of 20 pesos each, he took us at the entrance and we walked a few mts . We had to enter a sort of private property where a sweet old lady entertained us complaining that people go there, take pictures and make a lot of money out of it while she was there in her despair. I explained to her that I wasn’t making any money but she kept complaining. I gave her some pesos, more than I should but I felt sorry for her, as she was telling the story of her life and all the sufferings she had to go throught when she was younger. I would have staied there and listen to more. I wanted to take a shot of her as well but she was reluctant and I respected it. Too bad because she was such a great character. Her strong personality was showing in each of her wrinkles and her laughter was beautiful. But hey! it will stay in my memory. I was happy to hear that despite of everything she was looked after and not alone. The walk to reach the waterfall was short but pleasant as it was not to cold and the fog was waiting for us to take some shot before completely hiding the beautiful cascade. Happy with the hundreds of pictures I took we went back to town and walked around the city while Alberto was explaining about the local reality and the typical activities of the area. 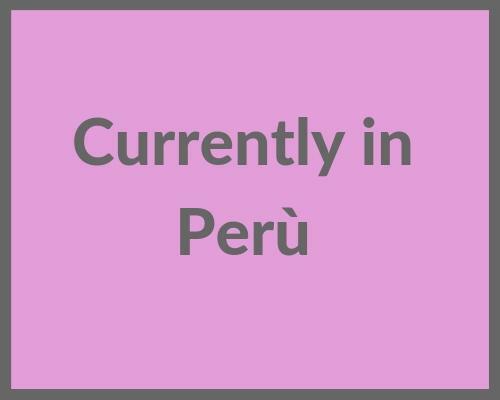 We infact went to visit the oldest “Panaderia” (bakery) in town, LA FAMA, were I could record some of the workers in their art of bread making. I loved watching it and listening to one of them talking about it with such passion and dedication. I will soon share a small video. 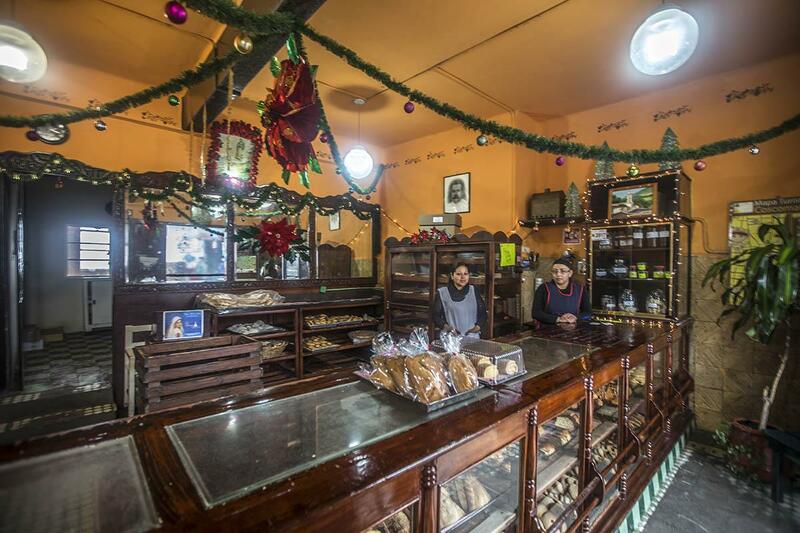 Panaderia “La Fama” the oldest in town, 90 ys old. Even though I am trying to stay away from bread and white flours in general I really needed to try this for the sake of research ( 😉 ) and I loved it. Besides it’s made with vegetal butter so it’s good for vegans too 🙂 . 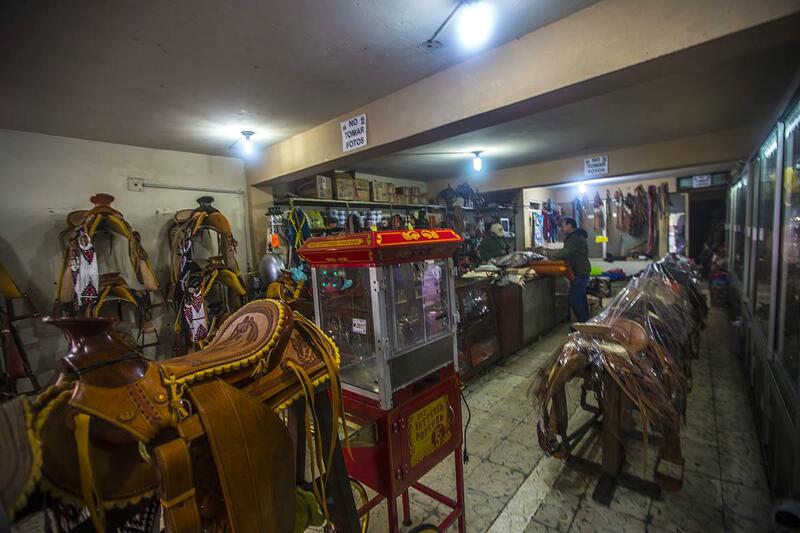 We also entered a shop called of “talabarteria” La guadalupana, which in spanish means saddler and leather maker shop, where I found out the importance of this craft and business in the area, especially because horseback riding has become a frequently practiced sport in the nearby “ranchos ” and saddlers and all the correlated accessories have become luxury goods. That was interesting to learn. We also wanted to enter the Chaple of San Juan but there was a funeral ceremony and we couldnt get in. The Main Chatedral San Juan was not accessible because of the damages inflicted by the recent earthquakes, infact the Mass was celebrated in a beautifully decorated tent prepared by the side of the church, right in front of the park “Parque Bravo”. 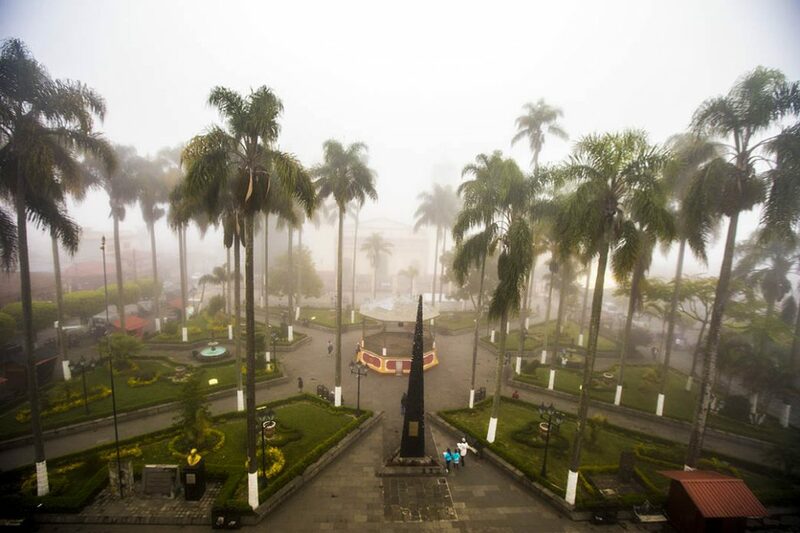 Visit the Museum Tetlapan where you can find archeological pieces found in Coscomatepec by it citizens. Take a taxi collectivo in calle Ignacio Zaragoza, right by the side of the church and go and visit Alpatlahua waterfall. You can easily go on your own as it is very much close to the main road. On the way back you can just stand on the road or walk down waiting for a taxi to go back. 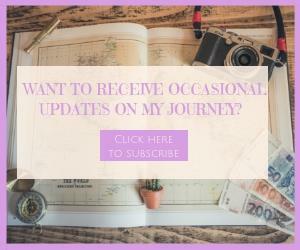 If you love hikinig that is the place for you but you will need a professional guide. There are a couple of companies that I haven’t experienced because I didn’t have enough time. One is called LIMITE VERDE, suggested by the Tourism Office. 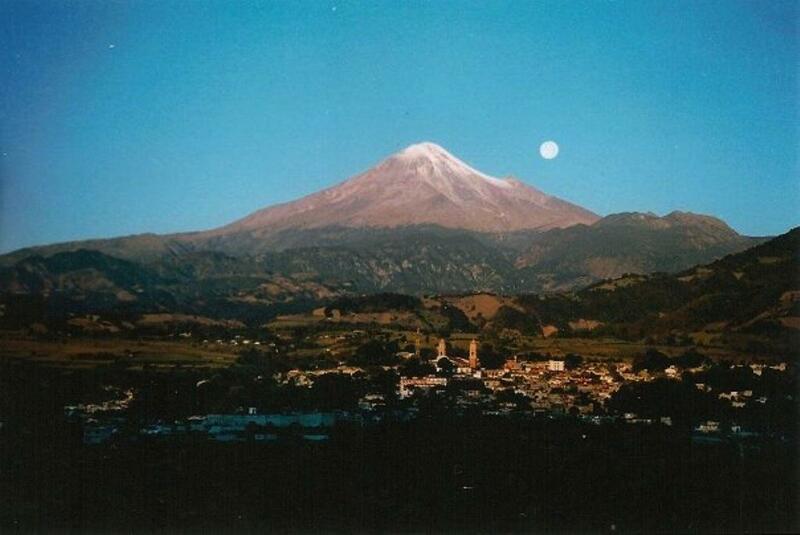 They organize tours around the pico de Orizaba and also up to the top. Eat in the local stands under the portico by the plaza, delicious gorditas and other local specialities. The triangles have only frijoles and are vegan friendly although not very healthy its a local speciality that you should try. The hotel offer is not abboundant. HOTEL PLAZA REAL A cute little hotel, simple but very caracteristic, with an internal court where you can also find a tipical restaurant. 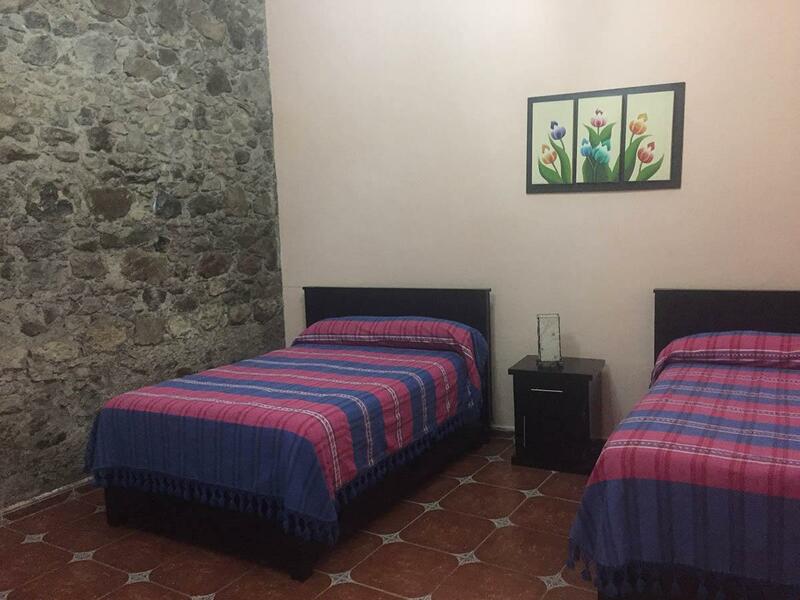 The rooms are minimal but nicely decorated and very warm and welcoming. In the hotel they also organize tours for you. It’s located right at one block from the main church. I would definitely reccommend it. There are a few Airbnb options which seems to be really cool if you don’t have any budget limitations. 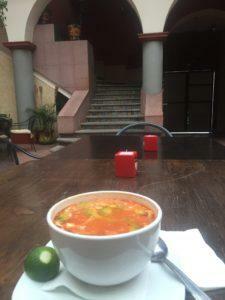 Tere’s – nice restaurant where you can find typical local dishes and they have WIFI. Para chismes agua y pan, solo en San Juan .